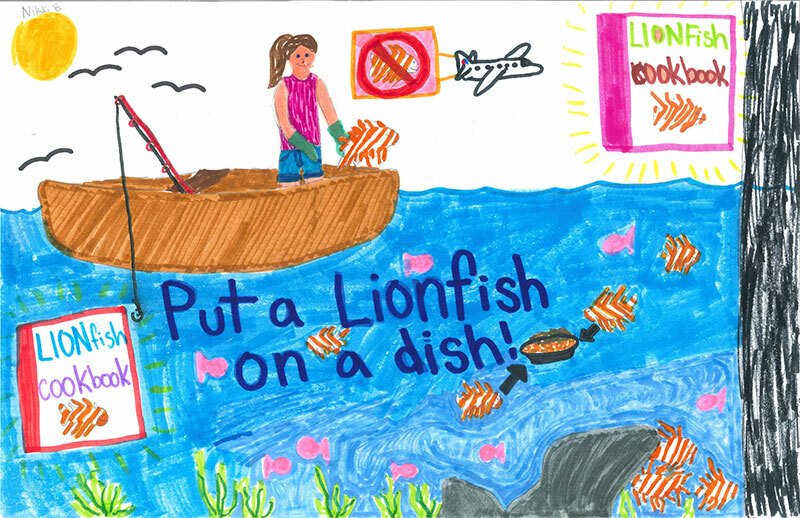 2015 Theme: Don’t be a vector! 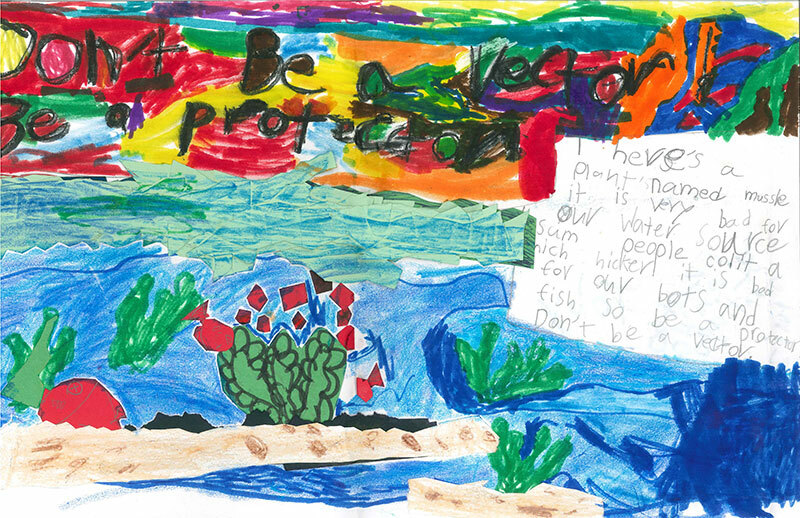 Be a protector! 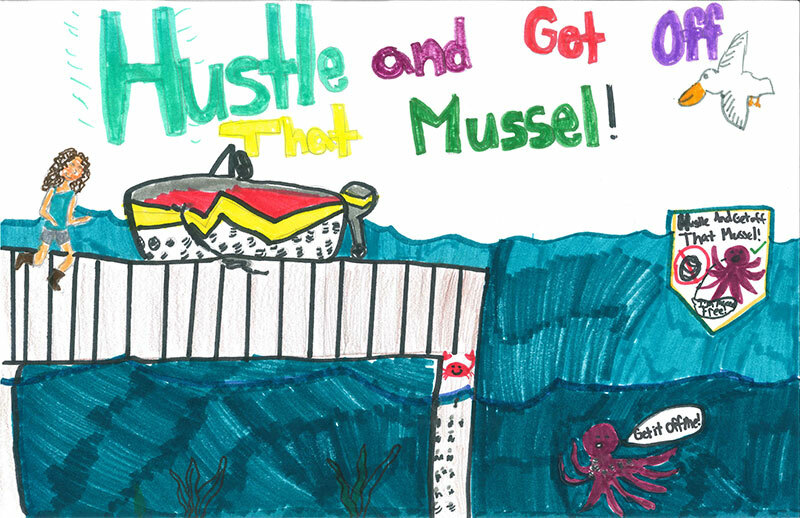 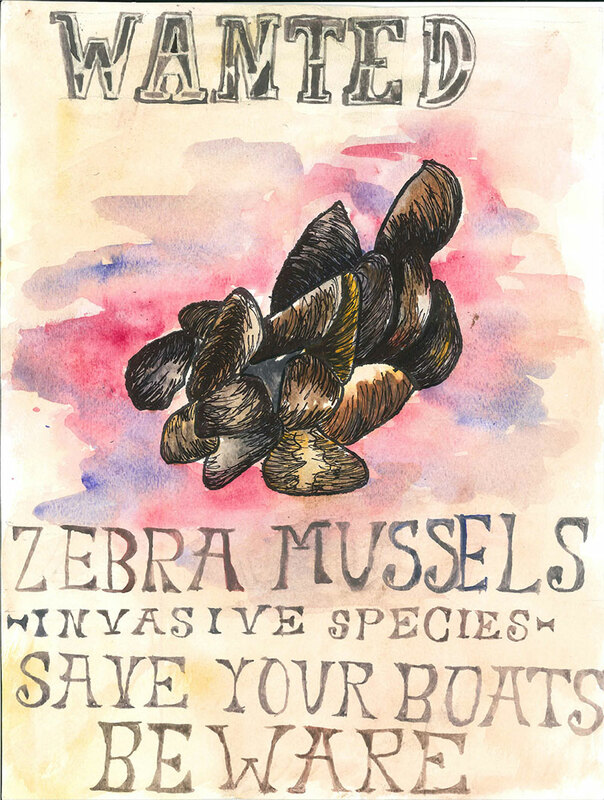 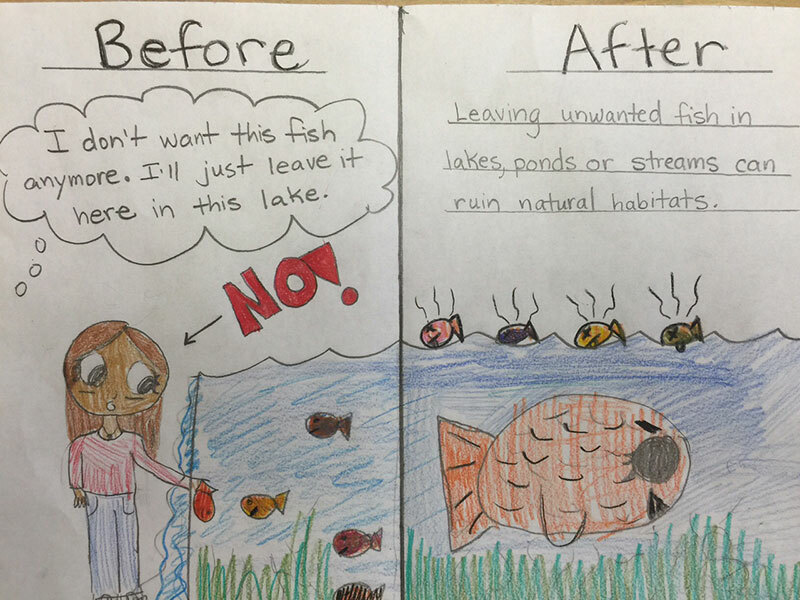 The challenge was to think of a situation where invasive species can be spread, identify the vector that can move it, and iIllustrate what you can do to prevent the spread and protect California’s resources. 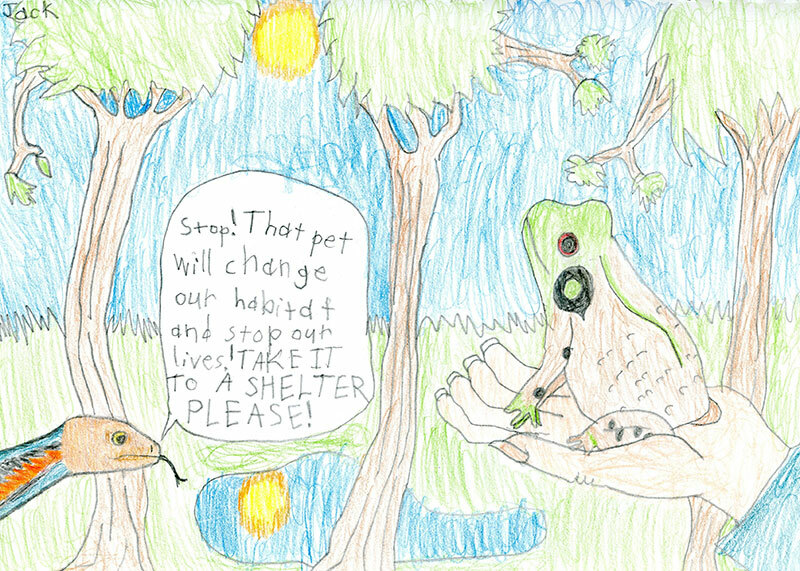 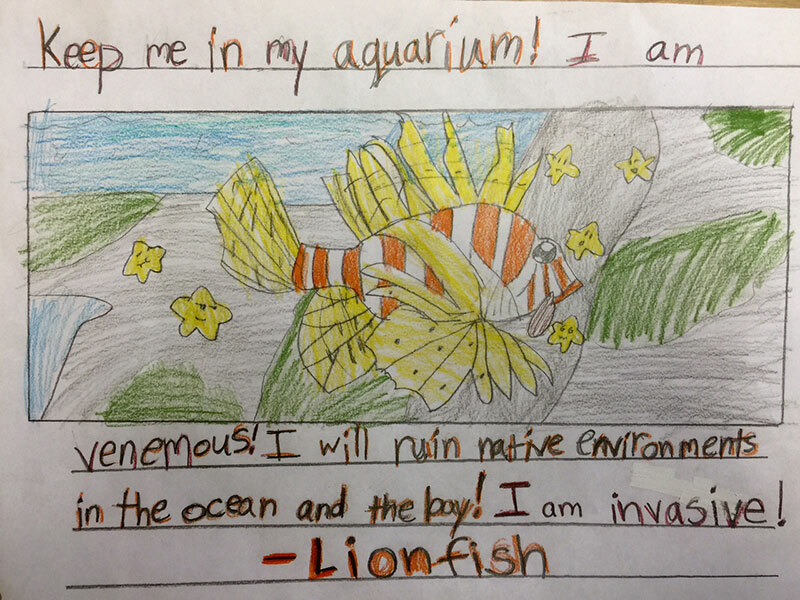 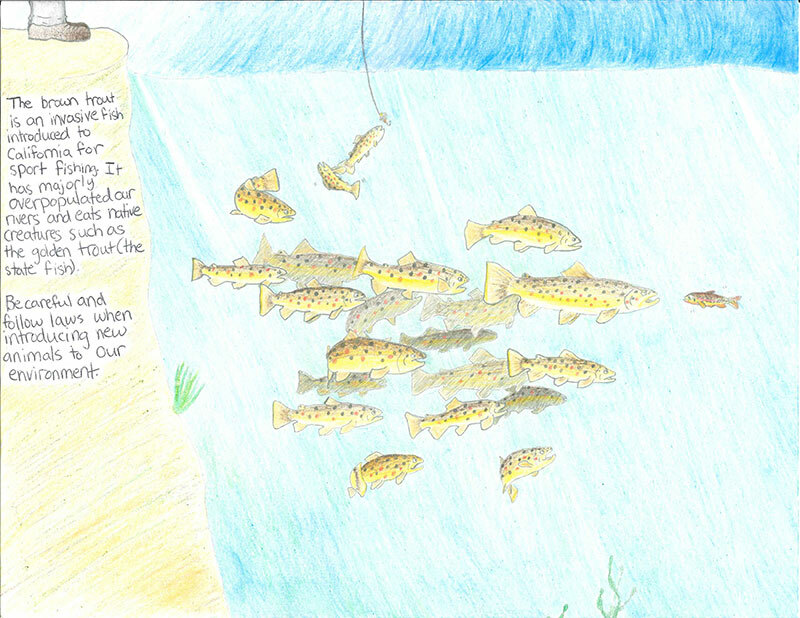 Artwork was placed in 3 divisions: Grades 2 – 4; 5 – 8; and 9 – 12 .The top three winners in each are displayed below, in addition to a special Invasive Species Program Choice Award.